represents the unit step function, equal to 0 for and 1 for . 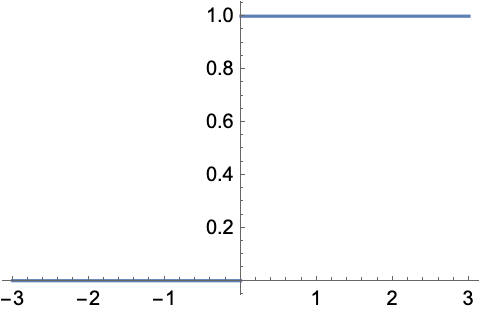 represents the multidimensional unit step function which is 1 only if none of the are negative. Some transformations are done automatically when UnitStep appears in a product of terms. 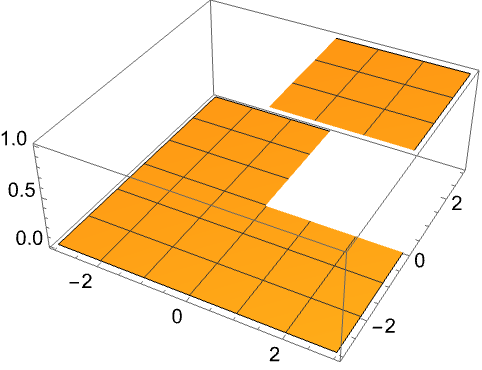 UnitStep provides a convenient way to represent piecewise continuous functions. For exact numeric quantities, UnitStep internally uses numerical approximations to establish its result. This process can be affected by the setting of the global variable $MaxExtraPrecision.